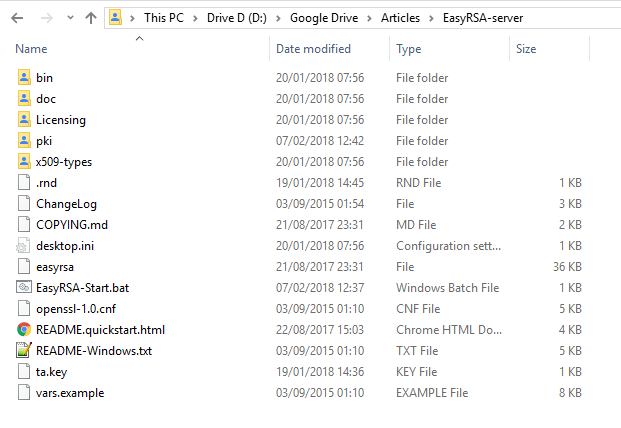 Latch on article This piece latches on to an earlier article titled HOWTO setup OpenVPN server and client configuration files using EasyRSA available from http://www.alanbonnici.com/2018/01/howto-setup-openvpn-server-and-client.html. 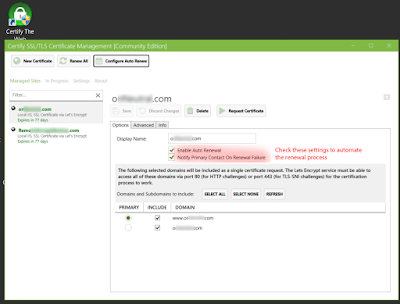 Go to that post for information on how to setup the server environment and generate certificates that are required to establish an OpenVPN connection. Portability of the EasyRSA environments;Creating additional clients related to the same server;Creating a password protected client. Portability of the EasyRSA environments All EasyRSA script commands operate within the EasyRSA folder and pki subfolder. No settings are written in the registry or in some area of your computer out of the EasyRSA directory. Also all EasyRSA script commands are relative to this folder. This makes the EasyRSA environment self-contained and portable.